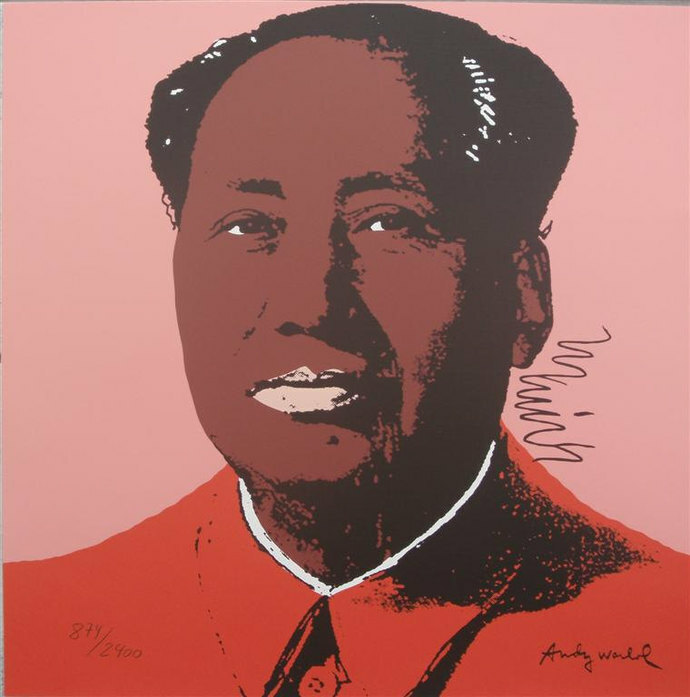 We are offering a rare lithograph from the set of 10 different colours of the Mao Zedong portraits from ANDY WARHOL (6.8.1928 â 22.2.1987). 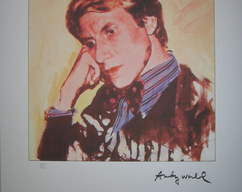 This unique original print on heavy wove paper is from a limited edition and not like the often offered unlimited prints from Andy Warhol with the note âpublished by Sunday B. Morning" and âfill in your own signature". 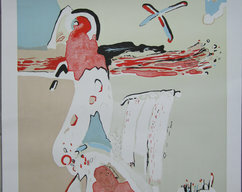 You get here an incomparable signed in print lithograph with a lasting and a steady rising value. Quotation from the "Portraits of the 70s"
Even when WARHOL leaves, from time to time , the jet-set world of art, business, fashion, the results are equally incisive. It is something of a miracle that a comtemporary Western artist could seize, as WARHOL has, the Olympian Big Brother image of Mao Tse-tung. In a quartet of canvases huge enough to catch one's eye at the Worker' Stadium in Peking, WARHOL has located the chairman in some otherworldly blue heaven, a secular deity of staggering dimensions who calmly and omnipotently watches over us earthlings. 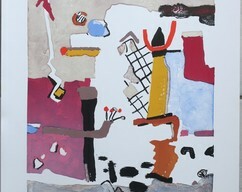 Provenance: All the offered prints come directly from the editor. The spot on the upper side is a magnet for fixing the print.